Stars in the Classics will present two Classical Cabarets featuring young area musicians on Thursday, July 19 and Saturday, July 20, both at 7:00 pm and both in the attractive, octagonal council chamber at Orange Village Hall. 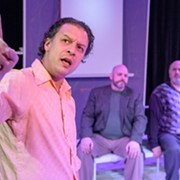 The Thursday performance features music by composers who emigrated to the United States from Eastern Europe and Russia, while the Saturday show will zero in on “Passionate Serenades and Dance Rhythms” from Italy and Spain. Tickets go for $25 — food and drink included — but the organization offers a special deal for students. Go online here to reserve. Classical violinist and Scots-Irish fiddler Fergus Hetherington, who studied at the Cleveland Institute of Music, will join pianist George Foley and guests in a concert on Thursday, July 19 at 7:30 pm in Art at The Schoolhouse Gallery on Murray Hill. On the menu: music by Stuart MacRae, Eddie McGuire, James MacMillan, and Hetherington himself, as well as traditional music from the Scottish Shetland Islands and Ireland. Tickets are $15 at the door. First there were 31 young pianists in the draw, then 15, then 10. On Wednesday, 6 contestants will play their Recital Round at Oberlin, then the jury for the Thomas and Evon Cooper International Piano Competition will reduce the field to 3 finalists who will play concertos with Jahja Ling and The Cleveland Orchestra on Friday, July 20 at 7:30 pm in Severance Hall. A first prize of $20,000 awaits the winner, with other awards to runners-up. Buy your tickets online. Can’t make it to Severance? The event will be live broadcast by WCLV 104.9 ideastream, and streamed on wclv.com. Young musicians will also be featured on Saturday, July 21 at Blossom, when the Kent Blossom Chamber Orchestra plays a 7:00 pm prelude concert of Prokofiev’s Classical Symphony and De Falla’s Suite No. 1 from The Three-Cornered Hat under the baton of Vinay Parameswaran. 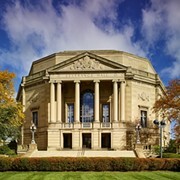 At 8:00 pm, The Cleveland Orchestra will join them in a side-by-side performance of Berlioz’ Overture to Benvenuto cellini and Vaughan Williams’ Serenade to Music with the Blossom Festival Chorus, led by Jahja Ling. After intermission, The Cleveland Orchestra will top off the evening with Mahler’s Symphony No. 1. Tickets can be ordered online. Looking into next week, classical guitarist Krystin O’Mara will play the next Tuesday noon “Lunch and Listen” concert at the Cleveland Institute of Music on July 24 at 12:30 pm, with works by Sainz de la Maza, Assad, and Barrios. Lunches are welcome on the patio, which opens at 11 am, and beverages will be provided beginning at noon. The concert’s free.